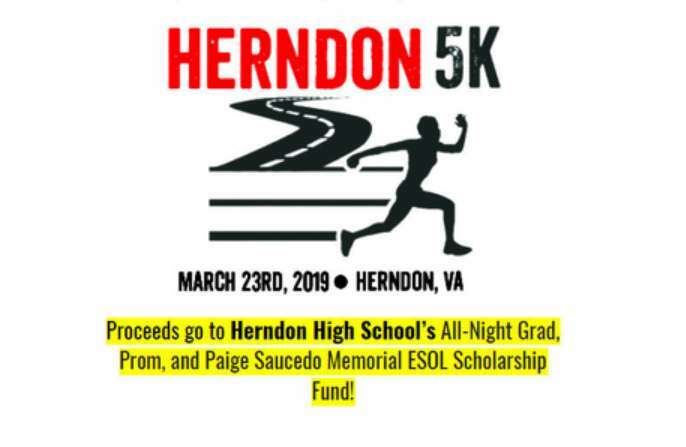 As the weather continues to slowly warm up, the Herndon 5K Walk/Run is set to place on Saturday (March 23). The proceeds from the 5K will go toward the Herndon High School’s All-Night Grad, prom and the Paige Saucedo Memorial ESOL Scholarship Fund. Prospective participants can register online for $35 until 8 p.m. on Thursday (March 21). After that, the price increases to $45. 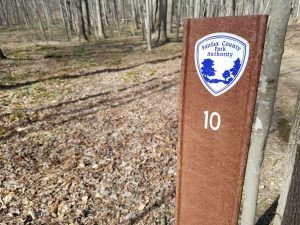 People can pick up their packets at the Potomac River Running store at 11911 Democracy Drive from 4-7 p.m. on Friday (March 22) or at the Herndon High School (700 Bennett Street) at 8 a.m. on Saturday. The 5K starts at 9 a.m. starts and ends at the high school. 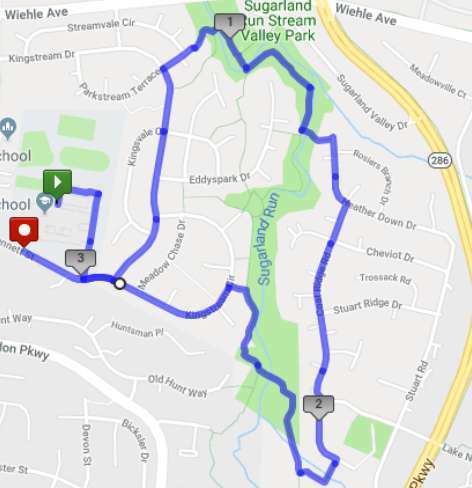 The course makes a loop from Kingstream Circle to Coat Ridge Road and then to Kingstream Drive. Runners can expect food and prizes by the finish line. Awards will go to the overall male and female finishers and the top male and female finishers in each of the following age groups: 13 and under, 14-18, 19-29, 30-39, 40-49, 50-65 and finally 66 and older. Spring registration for Girls on the Run, a national organization that promotes self-confidence and healthy habits for elementary school girls, is now open for Lake Anne Elementary School. 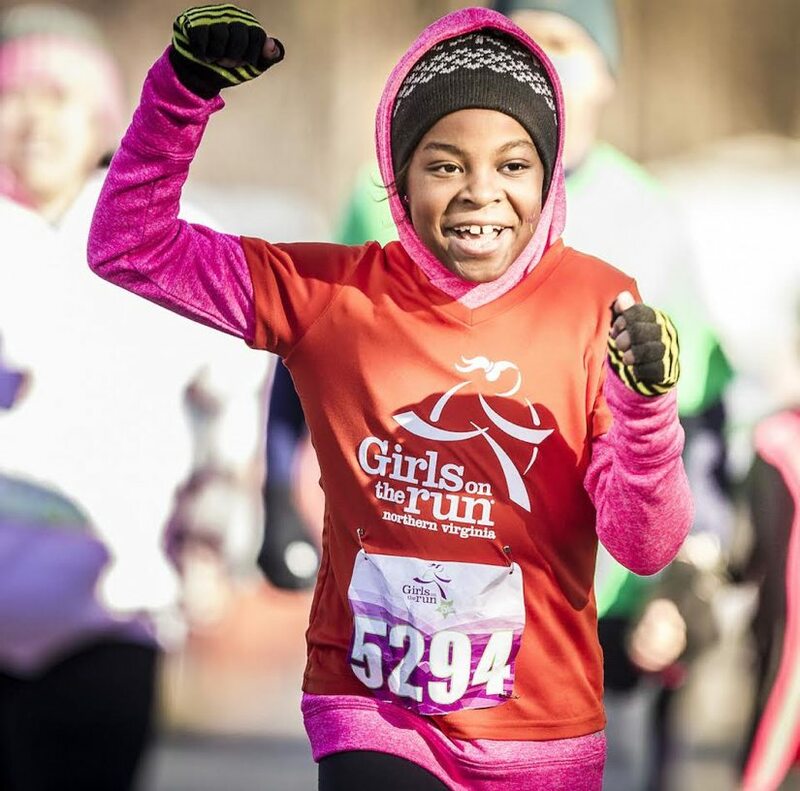 Girls on the Run provides a physical activity-based youth development program. In Fairfax County, it is available for girls from third grade to sixth grade. 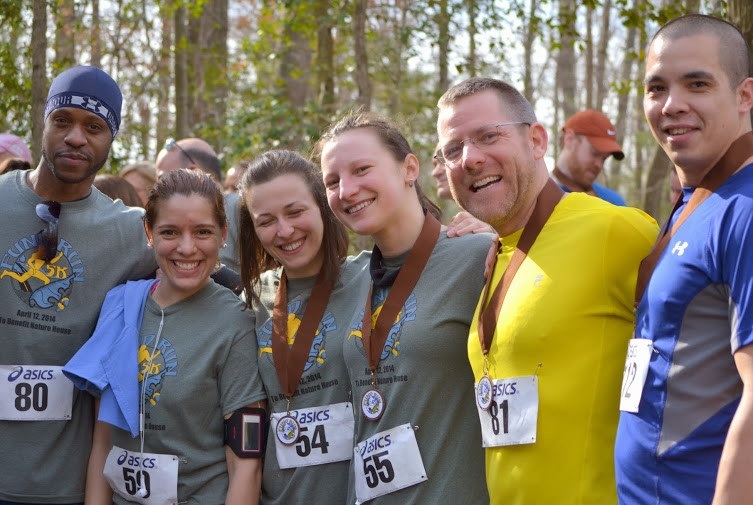 Starting the week of March 4, the Lake Anne Elementary School team will meet every Monday and Wednesday from 4-5:30 p.m. A 5k on the weekend of May 18 will celebrate the end of the season. Registration opened today (Jan. 28) on the Girls on the Run NOVA. The standard program fee is $175, which includes 20 lessons and practices, a t-shirt, water bottle, entry into the 5k, a 5k medal and more. Financial assistance is available for anyone who needs it. Girls on the Run NOVA received the 2018 FCPS Community Partner of the Year award in November. Reston’s multicultural heritage will be celebrated this weekend at Lake Anne Plaza. 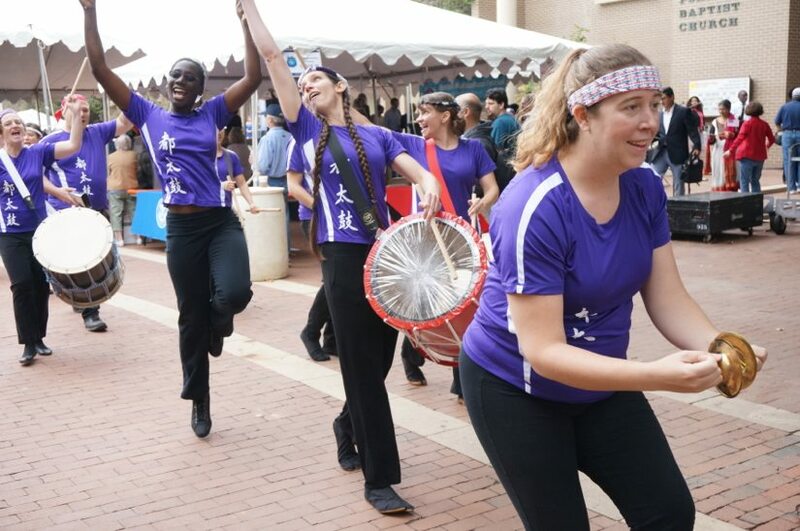 The community’s annual Multicultural Festival, sponsored by Reston Community Center and Reston Association, is scheduled for 11 a.m. to 6 p.m. Saturday. It will include “music, entertainment, dress, food, and cultural treasures from all over the world,” according to information provided by RCC. The entertainment lineup includes more than a dozen performers on two stages — the World Stage and the Global Stage — as well as at RCC’s Lake Anne facility. The “Global Market” will feature jewelry, clothing and more from around the world. For more information about the event, contact Kevin Danaher, RCC’s community events director, at 703-390-6166. There is plenty else scheduled to take place this weekend in the area as well. Get out there and have some fun on this last full weekend of September! Herndon High School (700 Bennett St.) will present its annual Showcase of Bands all day Saturday. South Lakes High School’s band will perform at 6:15 p.m., and Herndon’s band will play at 8:15. Café Montmarte (1625 Washington Plaza N.) will be the host of a comedy performance presented by Funny Friend Productions, beginning at 8 p.m. Saturday. Performers will include Robin Rex, Franqi French, Sumedha Ahuja Bahri, Kevin Skington, Wendy Wroblewski, Gil Segev, Leon Scott, Dan Kaufman and Steve Coltrain. Door charge will be $10. The grand-opening event for Reston Farm Market (10800 Baron Cameron Ave.) will take place from 9 a.m. to 7 p.m. Saturday. The fun will include train rides, moon bounces, the petting zoo, face painting and more. The JamBrew series continues tonight in Herndon. Aslin Beer Co. will be pouring frosty mugs, Weird Brothers Coffee will be offering tasty drinks, Nordic Knot Pretzels will provide tasty snacks, and there will be much more. Live music will be offered from DJ Barf Dog, Queens Over Kings and Sub-Radio. The free event is slated for 6-10 p.m. at the Herndon Town Green (777 Lynn St.). Lake Anne Brew House (11424 Washington Plaza W.) will host a performance by Grammy-nominated musician Cedric Watson from 3-5 p.m. Sunday. South Lakes High School’s undefeated varsity football team will play at home tonight at 7 p.m. against Centreville. A pre-game party at the stadium (11400 South Lakes Drive) is scheduled to start at 5:45 p.m., featuring burgers, hot dogs, barbecue, ice cream and more. “Sue Wrbican: Well Past the Echo” will be on view at Greater Reston Arts Center (12001 Market St.) through Nov. 18. Pulitzer Prize-winner display “Disgraced,” exploring Muslim assimilation and identity in America, will be performed at NextStop Theatre Company (269 Sunset Park Drive, Herndon) tonight at 8 p.m.; Saturday and Sunday at 7 p.m.; and at a 2 p.m. Saturday matinee. Tickets range in price from $17.50 to $55. 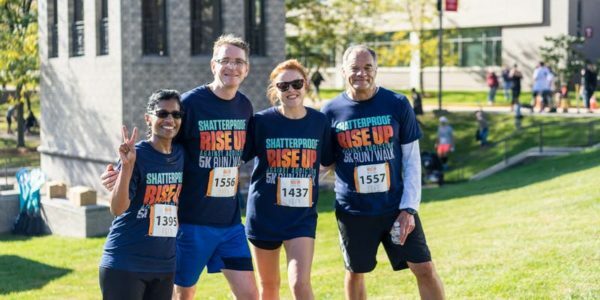 Pediatric Specialists of Virginia will have their Stride Forward 5K and Family Health Fair on Saturday from 8:30-11:30 a.m. at Reston Town Center. The Walk to End Alzheimer’s is Sunday, from 1:30-5 p.m. at Reston Town Center. Many restaurants and bars in Reston will have live music this weekend. These include Crafthouse (1888 Explorer St.) every Friday and Saturday night from 10 p.m. to 1:30 a.m.; and Tavern64 (1800 Presidents St.) every Friday from 6-10 p.m.
Kalypso’s Sports Tavern (1617 Washington Plaza N.) will have live music from Lawn Dart Incident tonight from 9:30 p.m. to 1:30 a.m.; and DJ Kram will play Top 40 hits during those hours Saturday night. The eighth annual Firecracker 5K for the Troops will be held at Reston Town Center on Tuesday morning. The Independence Day race is a part of Potomac River Running store’s PR Race Series. The store will make a financial donation to the USO Metro in honor of the military branch with most participants. If you haven’t yet registered, that’s OK: you can still sign up tomorrow morning at the event, which will start at 8 a.m. at 11911 Democracy Drive. The run is not dog- or stroller-friendly. There will be a fun run on Market Street following the 5K. All Tot Dash finishers will receive a bib and medal. Cash awards will go to the top 3 overall male and female finishers ($300, $200, $100). The top master runners will receive $100. Awards will also be presented for the top 3 in each age group. The event will last all morning, with live music and refreshments after the race. Between Founder’s Day on Saturday and the Runners Marathon of Reston on Sunday, this is a big weekend for major events in Reston. But even if you want to stay away from the big Founder’s Day crowd and long-distance running doesn’t sound like a fun time for you, there are plenty of other ways you can enjoy yourself this weekend. 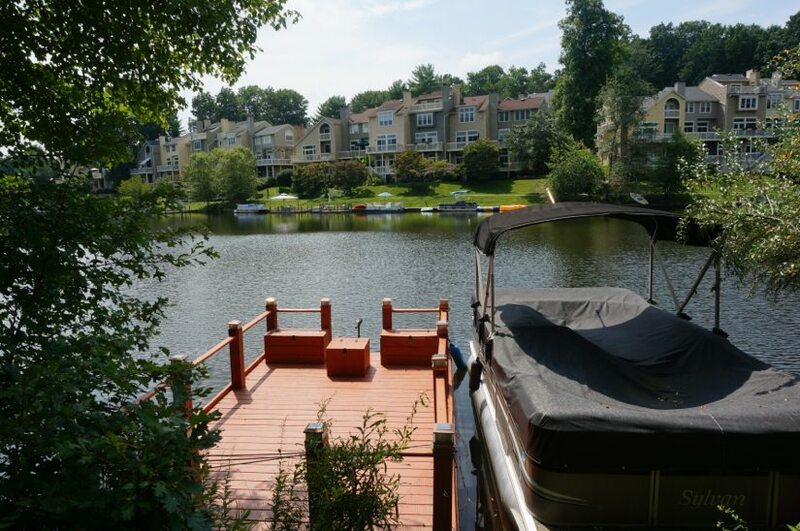 Here is just a sampling of what’s going on in the Reston area in the next couple days. Saturday at Lake Anne Plaza, Founder’s Day will mark Reston’s 53rd anniversary. The festivities will take place between 11 a.m. and 4 p.m. and will include fun for the whole family. Make sure to check out the full schedule. 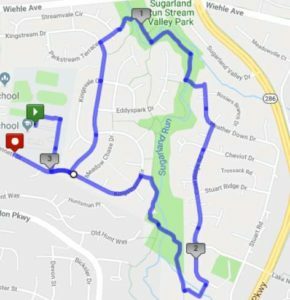 The Runners Marathon of Reston will have runners all over South Reston from 7:30 a.m. to 1:30 p.m. Sunday. There are still a few slots open for registration, and volunteers are also still needed. 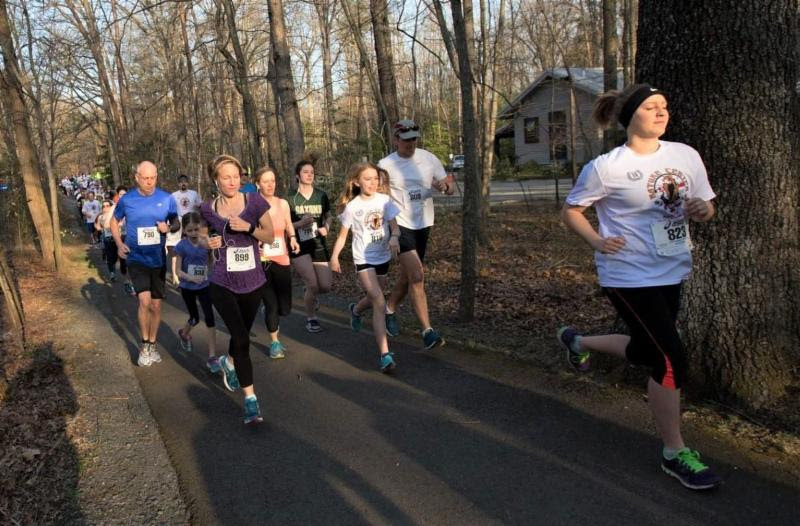 Benefitting the Friends of Reston, the Nature House 5K run/walk will begin at 8 a.m. Saturday at the Walker Nature Center (11450 Glade Drive). 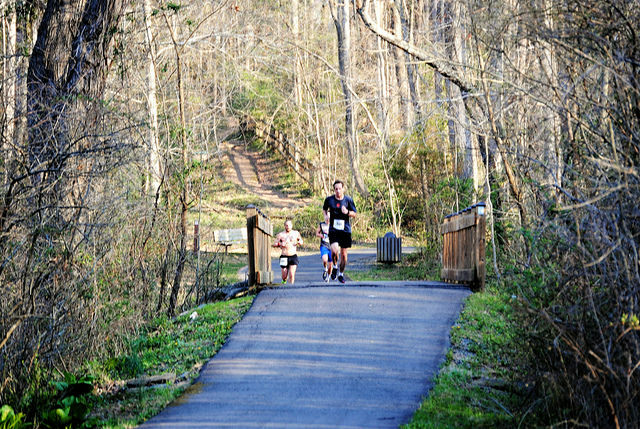 The course mostly consists of paved walkways in neighborhoods as well as pathways at the Nature Center and through Glade Stream Valley Park. Two concerts are scheduled for Sunday at CenterStage (2310 Colts Neck Road) at Reston Community Center. Trout Fishing in America will be performing at 3 p.m., with Dana and the Glorious Birds going on stage at 7. Tickets for the first show are $5 for Reston residents and $10 for non-residents; tickets for the evening show are $15 for Reston residents and $20 for non-residents. NextStop Theatre Company (269 Sunset Park Drive, Herndon) is performing “Boeing, Boeing” through April 30. Performances this weekend are tonight at 8 p.m. and Saturday at 7 p.m., along with a 2 p.m. matinee Sunday. Tickets are $35-$55. Events at Reston Town Center this weekend include wine tasting at Il Fornaio (11990 Market St.) on Saturday and Zumba in the pavilion on Sunday. The opening reception for “First Blooms” by artist Dorothy Donahey at Reston Art Gallery and Studios (11400 Washington Plaza W.) will be Sunday from 2-4 p.m. The drama department at Herndon Middle School (901 Locust St.) will present “Romeo & Juliet” tonight at 7 p.m., and at 2 and 7 p.m. Saturday. Tickets are $10. At Reston Regional Library (11925 Bowman Towne Drive), there will be a showing of kids’ movie “Open Season” and a young-adult writing workshop on Saturday. A bird walk is scheduled for the Twin Branches Nature Trail from 7:30-10:30 a.m. Sunday. No pre-registration is required for the free activity. “There’s No Place Like Home” will end its exhibit at ArtSpace Herndon (750 Center St.) on Saturday. Kalypso’s (1617 Washington Plaza N.) will have live music tonight, 9:30 p.m. to 1:30 a.m., from Revelator Hill featuring Bobby Thompson. DJ Kram will play Top 40 hits Saturday night. There will be a dance from 2:30-4:30 p.m. Sunday at Reston Community Center (2310 Colts Neck Road). Dancers of all skill levels are welcome to foxtrot, swing, cha-cha and waltz. 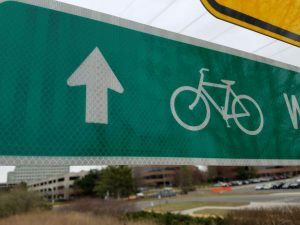 Cost is $5 for Reston residents and $10 for non-residents. 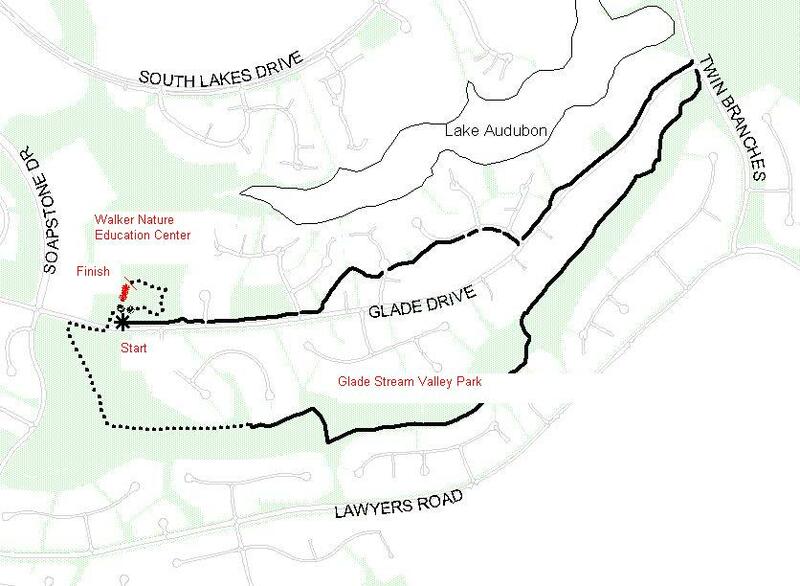 The 14th annual Nature House 5K run/walk is slated for Saturday at the Walker Nature Center (11450 Glade Drive). The event, open to all ages, benefits the Friends of Reston. The course mostly consists of paved walkways in neighborhoods as well as pathways at the Nature Center and through Glade Stream Valley Park. T-shirts will be given to all pre-registered participants, and to walk-in registrants as supplies last. Post-race festivities will include an awards ceremony and a prize drawing, in addition to the presentation of overall and age group medals and prizes. Registration is $30 for ages 13 and up, $20 for those 12 and under. Walk-in registration will begin Saturday at 7 a.m., with the race to start at 8. The Friends of Reston is a nonprofit organization that works to support Reston Association in performing charitable, educational and scientific purposes. The Nature House, gifted to RA in 2009, is its flagship project. Reston Community Players’ opening performance of “Rock of Ages” is tonight at 8 p.m. at CenterStage (2310 Colts Neck Road). They will also take the stage at 8 p.m. Saturday. Tickets for each performance of the show, which will run through April 1, are $25. The ice skating pavilion at Reston Town Center will have its final day of the season Sunday. Reston Town Center is hosting “Family Fun Saturdays” throughout March to benefit Opportunity Neighborhood: Reston. This week, there will be dog adoptions with Lucky Dog Animal Rescue from 11 a.m. to 3 p.m.; a fire truck and police car “see inside” event from 1-3 p.m.; a balloon artist from 1-4 p.m.; live music from 2-4 p.m.; and “free sweet treats” beginning at 1 p.m., while supplies last. Other events at Reston Town Center this weekend include Girl Scout cookie sales, an Easter cookie class for junior chefs at Williams-Sonoma, wine tasting at Il Fornaio and live music at World of Beer. The reception for Joan Kelly’s “New Directions” at Reston Art Studio and Galleries (11400 Washington Plaza W.) will be from 2-4 p.m. Sunday. Works are primarily acrylic paintings on paper. The documentary film “Screenagers: Growing Up in the Digital Age” will be shown Sunday at 3 p.m. at CenterStage (2310 Colts Neck Road). Admission is free. Mentalist and magician Derek Jasper will present “Epiphany” at NextStop Theatre Company (269 Sunset Park Drive) tonight at 8 p.m. and Saturday at 7:30 p.m.; tickets for the two-hour show are $25. Students at South Lakes High School (11400 South Lakes Drive) will present their annual student showcase at 7 p.m. tonight. Tickets are $5. ArtSpace Herndon (750 Center St.) will offer Cornucopia of Inspirations — HOPE, an afternoon of upcycling discarded treasures, from 2-4 p.m. Saturday. The event is for students in grades 1-5. Admission is $25. 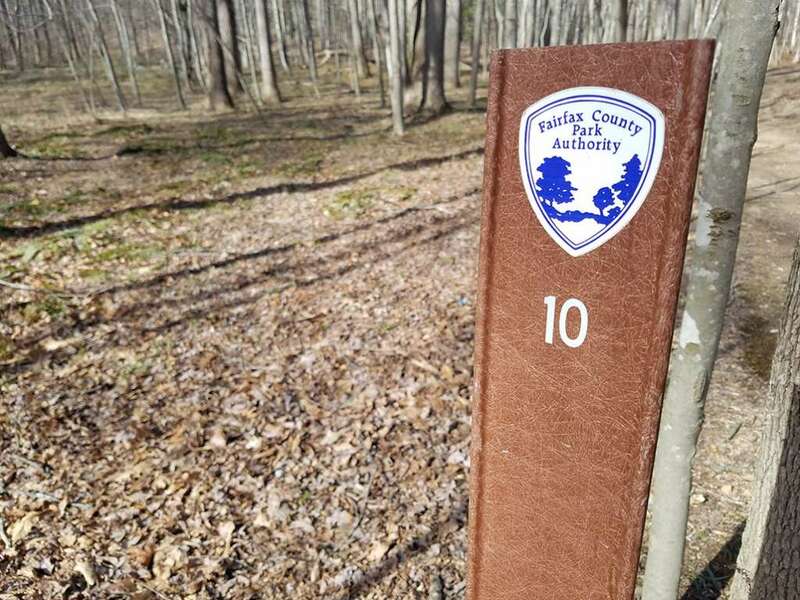 Reston Regional Library (11925 Bowman Towne Drive) will present a lecture on the evolution of the Loudoun/Fairfax county line from 2-3:30 p.m. Saturday. Local historian Jim Lewis will tell the story. The lecture series on World War I will continue Sunday at 2 p.m. as well. For kids, there will be a showing of Dr. Seuss’ “The Lorax” at 11 a.m. Saturday and a young-adult writing workshop Saturday at noon. The Unitarian Universalist Church in Reston (1625 Wiehle Ave.) will be host to a discussion of LGBT issues at 11:30 a.m. Sunday. The Rev. Dr. Debra Haffner, sexologist and author, will be the speaker. Kalypso’s (1617 Washington Plaza N.) will have live music from The Jones from 9:30 p.m. to 1:30 a.m. tonight. DJ Kram will play the hits Saturday night. Congregation Beth Emeth (12523 Lawyers Road, Herndon) will offer “Purim Palooza!” from 11:30 a.m. to 2 p.m. Sunday. A moon bounce, crafts, food, carnival games and more are planned. A special nonprofit art exhibition, part of a partnership between International Association for Self-Proclaimed Artists and Writers (IASPAW) and Building Futures Thailand, will be presented Sunday from 1-5 p.m. at The Avant at Reston Town Center (12025 Town Square St.). 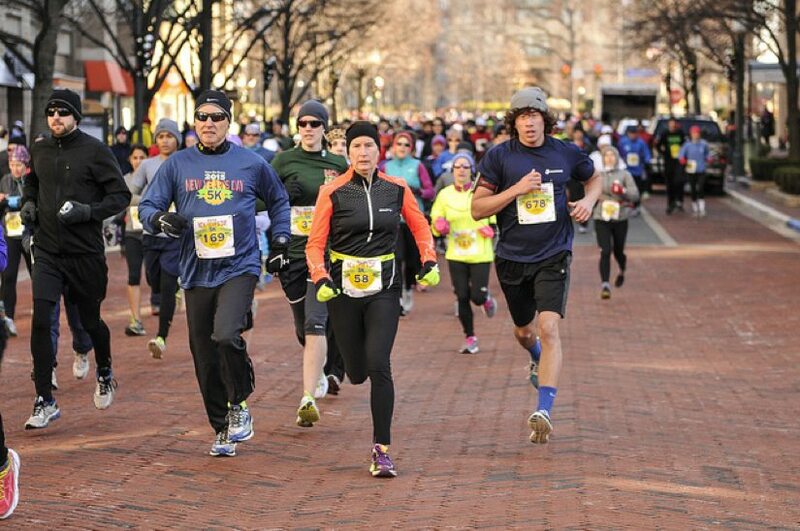 If getting in shape is your New Year’s resolution, a 5K race in Reston on the first day of 2017 might help. Potomac River Running once again is holding its New Year’s Day 5K on Jan. 1 at 10 a.m. The run begins and ends at Reston Town Center. Runners only will use town center streets and Reston Association paths, keeping major roads open. The running store will have food and music at Reston Town Center after the race. Online registration for the 5K is $35. Life Time Athletic in Reston also is having a Jan. 1 Commitment Day fun run and festival that is open to non-members. Santa’s been training for this all year. What about you? The 6th annual Cap Tech Run With Santa 5K takes place this Sunday, Dec. 4, at Reston Town Center. The race begins at 8:30 a.m. You can run as an individual or a team. All teams must be pre-registered. Online registration will close Friday, Dec. 2 at 8:00 p.m. Attendees can also register in-person, however. Packet pickup is at the Potomac River Running Store at Reston Town Center on Saturday from 11 a.m. to 4 p.m. and Sunday from 7 to 8 a.m. The course starts and finishes on Market Street near Fountain Square. Affected roads include Town Center Parkway, Cameron Glen Drive, Fountain Drive, Reston Parkway, Sunset Hills Road, Market Street and Explorer Street. There will be a free kids “fun run” (it goes a few hundred yards). For the fun run, registration will take place on race day. Little participants will receive a finisher medal for running the race. The fun run will take place around 9:30 a.m., after the 5k but just before the awards ceremony. There will also be a costume contest with prizes. 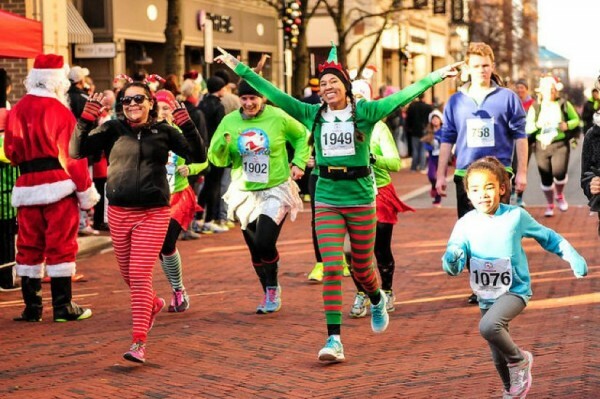 Runners are free to don festive suits or elf costumes. Go nuts. 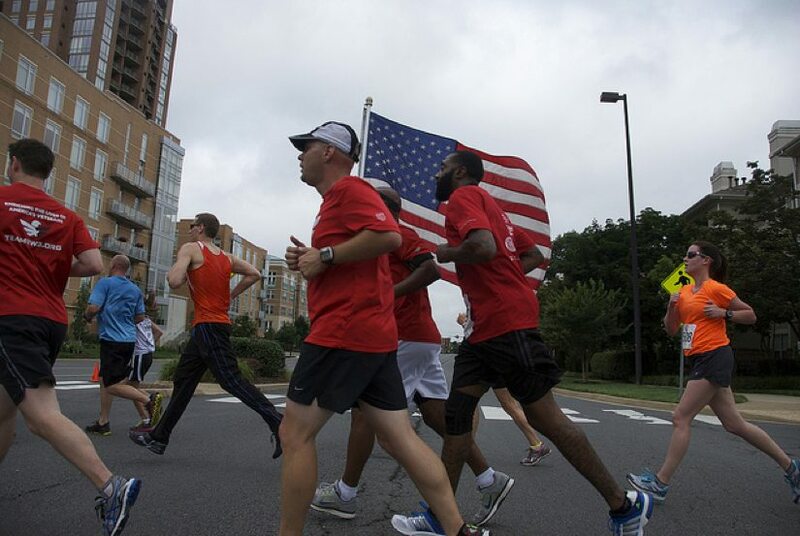 Start July 4 off with a run for the troops. The 7th annual Firecracker 5K takes place at 8 a.m. Monday at Reston Town Center. The race, sponsored by Reston-based Leidos, is a great way to support the armed services. When you register to run, let organizers know which branch of the military you support for the “Battle of the Branches.” Potomac River Running will make a donation to the USO on behalf of the branch with the most registered runners. Online registration ($35) closes tonight. In-person registration ($40) available at packet pickup or at the race. Registration discounts for active military members and runners under age 14 are available. 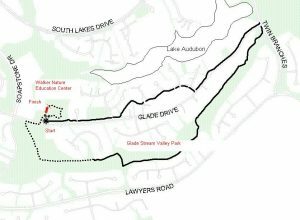 The course is a mostly flat loop around Reston Town Center. Bring the kids: there will be a free tot dash down Market Street at 8:50 a.m. following the 5K finish. Sign up will be morning of at the finish line area.